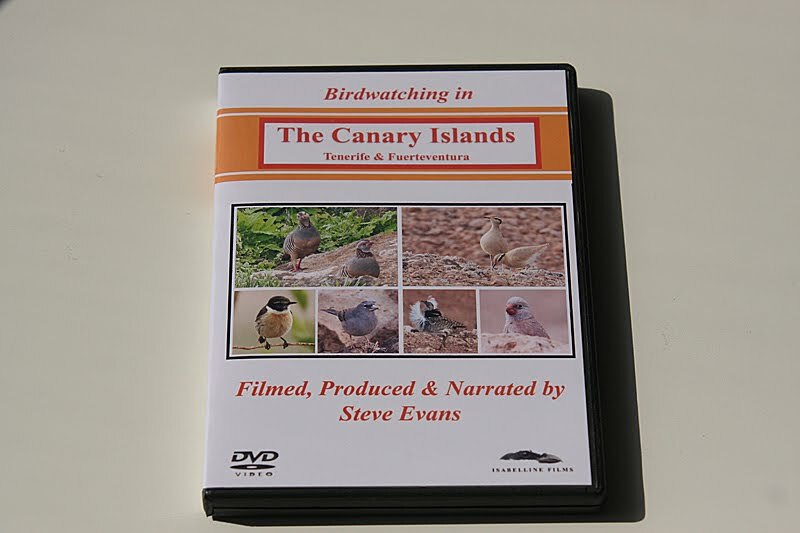 A DVD dropped through my letter box the other day c/o Steve Evans who produced it, following a recent visit to the Canary Islands. In my humble opinion it is an outstanding record of virtually all the endemic species to be found on the islands. The footage of some of the more difficult species to see let alone film, such as Laurel pigeon and Houbara Bustard in courtship display is wonderful. It brought back memories of a recent trip to Tenerife and one of my first trips abroad to Fuerteventura. 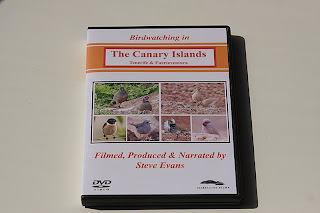 It is a very professionally produced DVD and I would strongly recommend it to anyone who has been or is thinking of going birding to the Canary Isles. Nothing to do with the hot weather, I just went for minimal gear, sort of Free Birding - no 'scope, no camera just me and me bins. Fine for doing the Middleton lakes circuit until you get to the North pit, undoubtedly the best bit, with loads of small shingle islands and shallows. Plenty of places for birds to feed and rest and hide. Its a place that needs time and a telescope, as distant birds continually come into view before disappearing again. I got away with it today thanks to Steve Haynes and his 'scope and a Sparrowhawk. Both played their part in enabling me to see everything that was there which to be fair wasnt that amazing, but did include the first Common Terns of the year, 3 in fact, a nice little flock of 8 Dunlin and a Yellow wagtail.